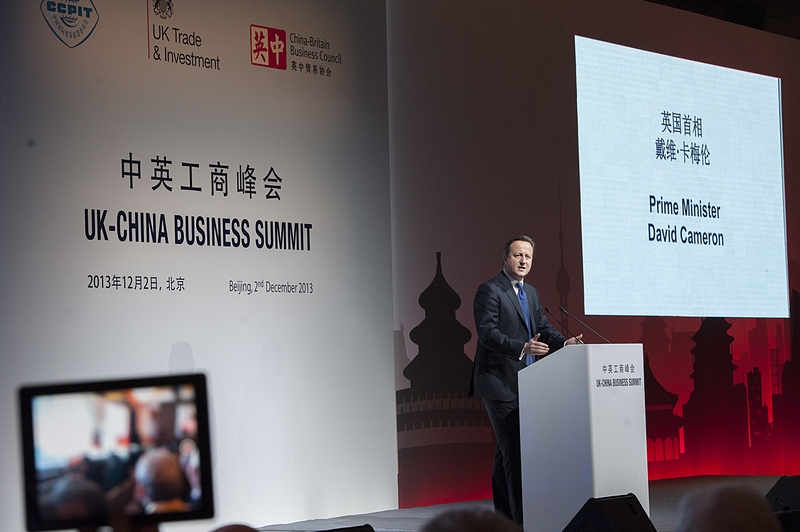 David Cameron’s new China job: Is it time for a debate on the role of elites? Home /Business, China, China-UK, International Relations, Politics/David Cameron’s new China job: Is it time for a debate on the role of elites? When I began to consider in-depth research into Sino-British elite convergence, I thought it would prove to be an excellent case study by which to explore international engagement with China as well as Chinese elite-orientated international outreach. In a relatively short period, the subject has been propelled onto the front pages, most notably in the form of a heated debate still on-going in Australia on the nature of Chinese influence on the country and its institutions. Late last week, the British act of this global drama began in earnest as it was reported that former-British prime-minister David Cameron would take charge of a $1bn fund connected to China’s Belt and Road Initiative (BRI). Of course, this isn’t the first instance of elite convergence between the two countries, from members of the British government sitting on Chinese company boards to controversial content share agreements between media giants, increased interconnectivity between respective elites is a continuing development. But Cameron’s role is the most visible, the most high-ranking, and the most emblematic of the wider phenomenon. One should make an important distinction here, between the potentially troubling consequences of Chinese elite engagement and the welcome development of a country and a people with such a great deal to offer. As well as the benefits to the Chinese people themselves, China’s continuing advancement presents greater opportunities for citizens of other nations to engage with a country that spans ancient civilisation and flourishing modern economy. But in understanding the ramifications of Chinese growth, one must attempt to differentiate between the two countries that constitute ‘China’ as we know it. These countries, often entwined, include the authentic historical and cultural entity, and the fiercely political modern party-state (that itself incorporates carefully finessed historical and cultural legacies). A form of present-state historical and cultural appropriation might exist in all countries, but in a party-state that exerts such leverage over the debate and discourse surrounding national heritage, the power of the centre is considerable. In debates on global norms, Chinese officials have, like Americans before them, argued that China is exceptional. In the case of international engagement, I am inclined to agree. The combination of China’s growing economic strength and the level of dominance achieved by Chinese elites in their own country mean that the international elites who do engage need to understand the nature of the deal they are making. Reams have been written on American international engagement in the twentieth century, most of it justified, but Chinese international engagement in its current form is a vastly different proposition. Whilst groups such as the United States’ National Endowment for Democracy (NED) describe the pressure that China exerts internationally as ‘sharp power’ (as opposed to ‘hard’ or ‘soft’ power), I would argue that it is more accurate to consider the current trend the result of two separate phenomena taking place in tandem. China’s rise is not the result of another industrial or scientific revolution that will re-shape the international landscape. It is chiefly the recovery since the 1980s of a large population from the total cataclysm of Maoist rule. An inherently resourceful, hard-working and inventive people finally allowed access to the fruits of modernity that their efforts merited long ago. Though some of the intellectual constraints of Maoist rule remain, the abandonment of Maoist-era economic policy laid the groundwork for the economic development we have witnessed over the past three decades. Turning to western nations, the second phenomenon is that of financialisation – more than ideological struggle over economic orthodoxy, rather, a post-1989 all-encompassing emphasis on monetary value as a gauge of significance. In such a world, China’s status as a growing market holds a good deal of value indeed. The central characteristic of the current state of affairs is the Chinese reliance on elite channels to achieve national objectives in the international arena. Compare China’s current cultural footprint with ubiquity of American culture around the world, not just the explicit such as Hollywood films and the NBA but the inherent such as the popularity of jeans and usage of American business practice norms. This is not to deny the political and economic elements of US engagement with the wider world over the last century, but the bottom-up cultural element was a prominent hue in the wider spectrum. With Chinese cultural engagement of wider populations heavily funded but as yet largely unproductive, reliance on elite channels has been significant. The manner of such engagement mirrors the increasingly problematic ‘revolving door’ phenomenon in politics. The term describes the blurred lines between government representation and lucrative corporate positions. The danger here is that the path becomes so well-worn that government representatives and senior civil servants, consciously or unconsciously, make decisions with one eye on their future careers. Could the same be true of those hoping to secure roles affiliated with other nations? David Cameron and George Osborne are the best known architects of the golden era policy toward China (even right-leaning British political magazine the Spectator called Osborne’s 2015 visit ‘the longest Kowtow in history’). Now Cameron stands atop a $1bn BRI fund and Osborne secured his lucrative Blackrock role in part for his China links. It is not unreasonable to predict Osborne will take another role closer still to the Chinese government in future. Why is this happening now and what are the consequences? This trend is typical of a wider phenomenon that has seen agency in the national arena migrate to the international arena. Indeed, one can make a compelling argument that the unfamiliar political landscape in which we find ourselves has in some respects come about because of a reaction by the voters in light of migration of their power into another realm. To be clear, this is not a conspiracy – those who constitute the international realm possess just as wide a range of opinions as exists in the national domain. But in the channels formed by globalisation there is ample space for greater international engagement on the problems of the age. As has taken place in much of the Anglo-Saxon world recently, the masses will kickback if they feel they are denied agency. The consequences of Chinese elite engagement are less clear. Such a reliance on elite channels in the face of failing international mass engagement policies from Chinese leaders suggests a very different route than the one taken by America on its way to global prominence. As Australia is debating at present, and as Taiwan and Hong Kong have found previously, such elite links hold serious ramifications for the security, sovereignty and autonomy of the jurisdictions that forge them. The increased debate surrounding western elite representatives and their links with China’s party-state is not a broadside in an on-going battle, but the realisation for many that a battle is taking place. Martin Thorley is a PhD candidate at the University of Nottingham and editorial assistant for the CPI: Analysis blog. He tweets @METhorley. Image Credit: CC by Number 10/Flickr.